Explore the LEGO® Architecture Great Wall of China! 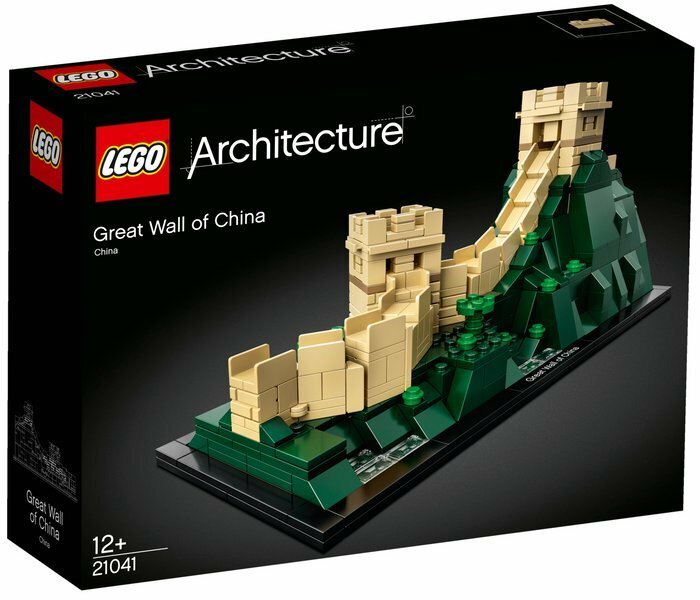 Discover the architectural secrets of the World Heritage Great Wall with this LEGO® Architecture 21041 The Great Wall of China set. Explore the ingenious building techniques that allow the structure to drape across thousands of miles of countryside, curving up, down and around mountains and rugged undulating terrain to form a harmonious blend of nature and architecture. 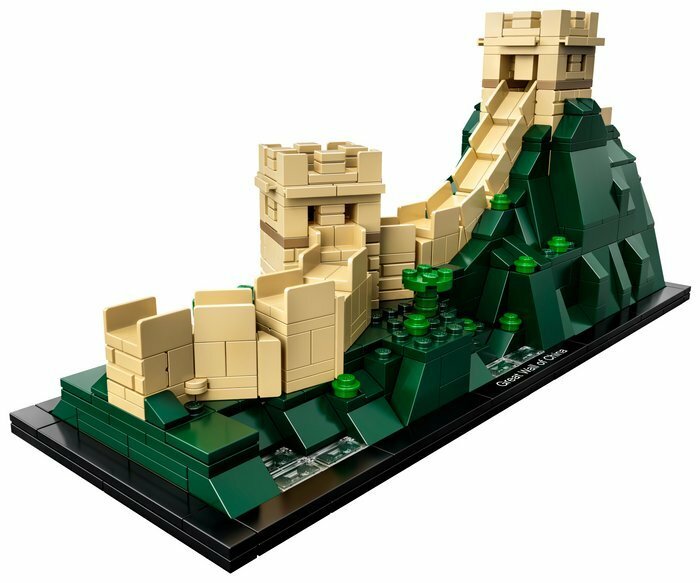 This accurately detailed LEGO interpretation depicts 2 turrets joined by a winding section of wall atop a dark-green mountainous landscape with lush valleys, trees and lakes, and is finished with decorative English and Chinese nameplates. The model has been designed to deliver a rewarding and relaxing building experience to all with an interest in architecture, travel, history and design, and makes a truly dynastic centerpiece for the home or office. 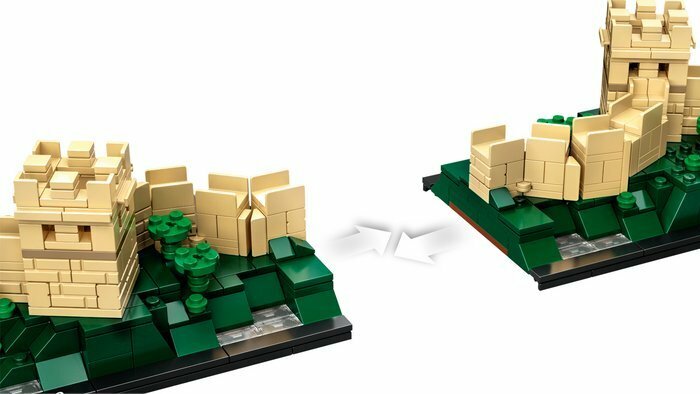 Connect multiple models to extend your Great Wall display. LEGO® Architecture interpretation of the real-world Great Wall of China. Features a winding wall section with 2 turrets, draped over a mountainous landscape with trees and lakes. Also features 2 decorative nameplates written in English and Chinese. 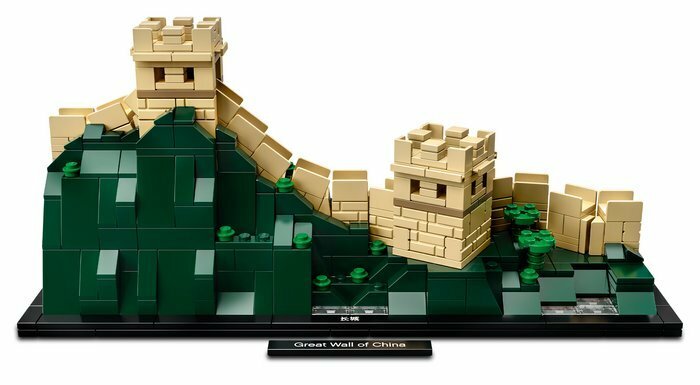 Connect multiple Great Wall models to expand your display. 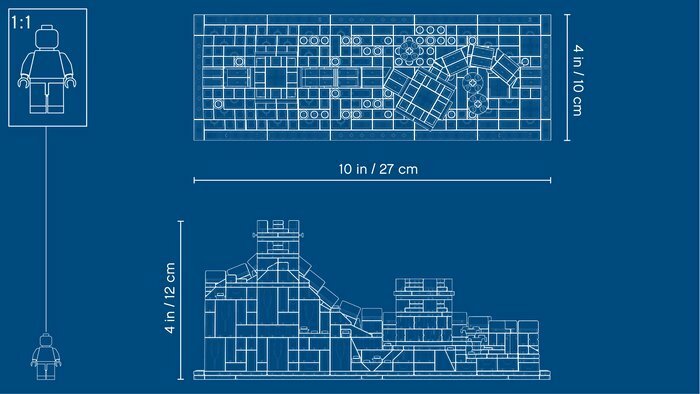 The included booklet contains information about the design, architecture and history of the building (English, French and Chinese languages only. Other languages available for download at LEGO.com/architecture). 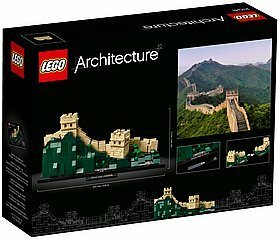 LEGO® Architecture celebrates the world of architecture through the medium of the LEGO building brick, and is developed for all with an interest in travel, architecture, history and design. This set includes over 550 LEGO® pieces. Measures over 4” (12cm) high, 10” (27cm) wide and 3” (9cm) deep.